Moriyama Naotaro was born April 23rd, 1976, in Tokyo.Naotaro attended Seijo University. He likes wasabi, cubrics, and natto on yakisoba. He has also loved soccer since he was a boy; in fact as a child he had no ambitions to become a musician. Instead, he said he wanted to become a soccer-ball-bouncing comedian. He started seriously playing guitar in university, and it was then that he started writing songs. From there, he started doing street performances once or twice a month, as well as playing in music clubs in the Tokyo area. He was picked up by the music label ‘NNR’, and as ‘Naotaro’ released the mini-album ‘Naotaro’ in March 2001, and the maxi-single ‘Wasuremono’ in November. He made his major debut in October 2002 as Moriyama Naotaro with the release of the mini-album ‘Kawaita Uta wa Sakana no Mimi ni Choudo Ii’. 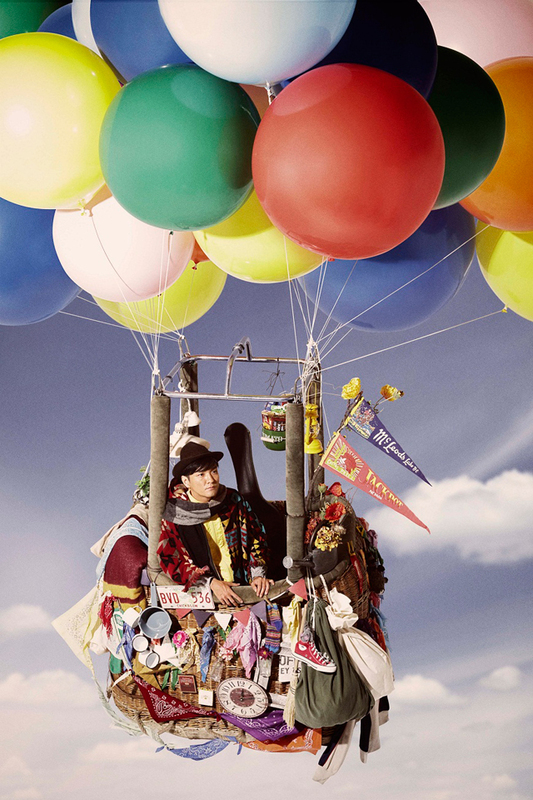 His big break was in April of 2003 with the release of ‘Sakura (solo version)’, and a second mini-album, ‘Ikutsumo no Kawa o Koete Umareta Kotobatachi’ was released in June of the same year. His most famous song is undoubtedly ‘Sakura (solo version)’, which has been in the top ten karaoke ranking for over a year, and is sung at graduation ceremonies across Japan. Some of his most recent projects include the themesong and BGM for the TV drama ‘Itooshi Kimi e’. Naotaro’s mother is Moriyama Ryoko, who was a famous singer in the 1970’s. He once said on a TV talk show that his entire family is musical; his mother used to correct his pronunciation when he hummed under his breath, and his whole family in fact sings their goodnights before bed each night.